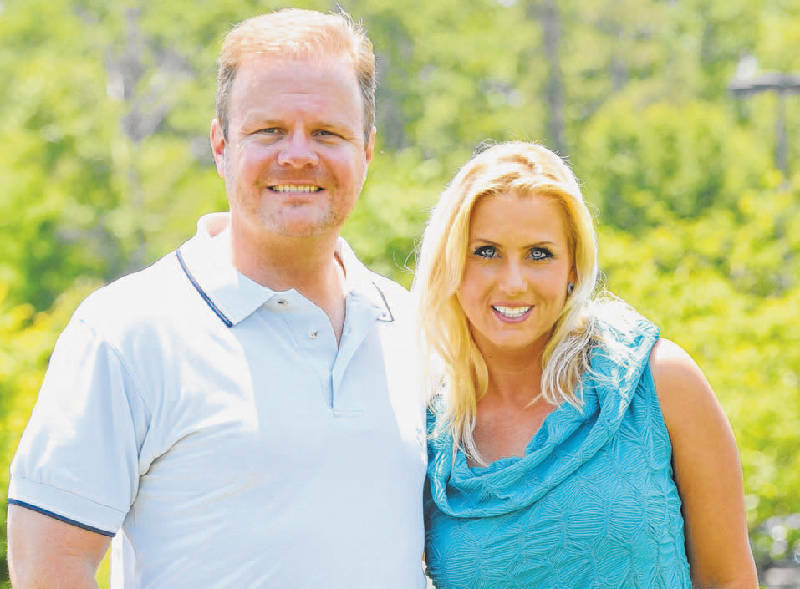 5 Star Home Care's Kenny and Melissa Higdon now offer their clients who live in senior living facilities the option of a la carte service ordering. 5 Star Home Care set out to meet the needs of the senior community, a goal they've met and exceeded thanks to owners and staff who routinely go the extra mile for their clients. To meet the growing demand of home care assistance needs at senior living communities, the local company has created a new a-la-carte menu of services. "We've created an innovative solution that makes receiving home care assistance more manageable and more affordable" said 5 Star President Kenny Higdon. Residents can pick and choose which meet their needs without worrying about meeting the traditional minimum number of hours that many other home care agencies have. As Higdon put it, this "makes ordering home care services as easy as ordering from a restaurant menu." With 5 Star's new a-la-carte menu, residents order the home care services they need and minimums do not apply. 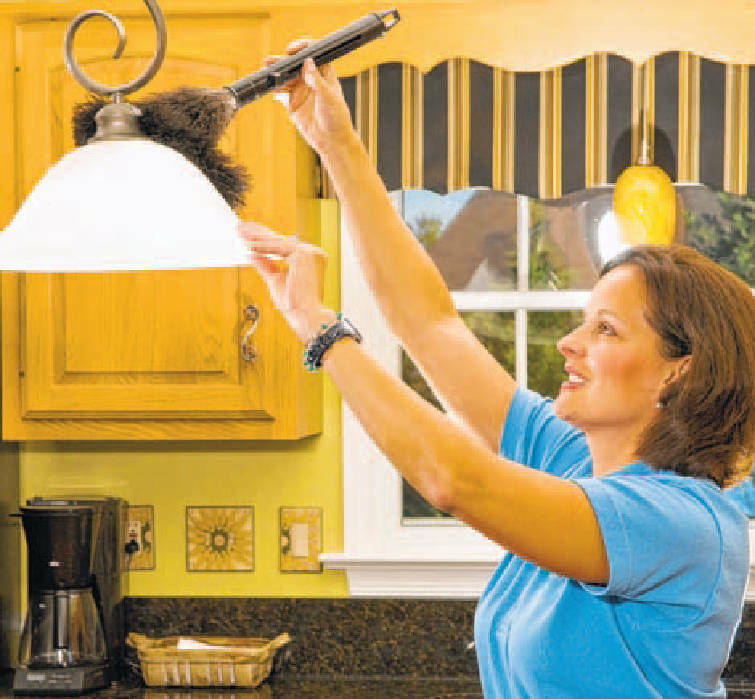 Light house cleaning is just one service 5 Star Home Care provides. "Traditionally, it wasn't economically feasible for an agency to send a caregiver for just a medication reminder, which is typically a 15 minute visit, 3 times a day" said Higdon. However 5 Star's a-la-carte menu lets caregivers service multiple resident needs at one facility, saving residents thousands of dollars a year compared to what they'd pay at another agency. Services available on the a-la-carte menu include everything from companionship and medication reminders to bathing or dressing assistance, and even pet care. Rates can be calculated on an hourly or monthly basis, with discounts based on volume for monthly rates. "This special is only available to residents in retirement, independent and assisted living communities," Higdon noted. "For those who only need an extra hand for one or two services, our a-la-carte menu makes it even more affordable for the resident, and administrators tell us this also helps the residents stay in their facility longer." 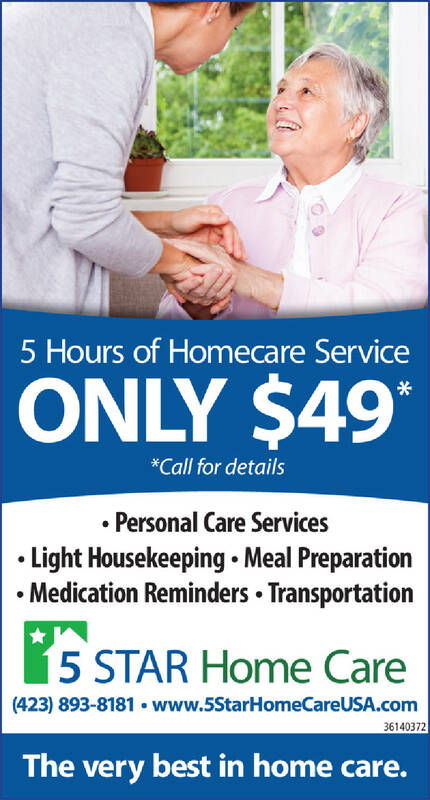 In addition to launching the a-la-carte menu, 5 Star Home Care has expanded its territory and is now offering home care services throughout Tennessee. The Chattanooga-based company services Nashville, Knoxville, Cookeville, Johnson City and Memphis for those who may have family out of town and in need of 5 Star's care. "I started 5 Star Home Care in 2007 after seeing the challenge my mom had when trying to find someone to help care for my grandmother," Higdon said. "My mother wanted to find someone caring and honest who would be gentle with my grandmother. She was unable to find someone she was comfortable with and ended up providing the care herself, at great personal expense. Filling this need for families is the reason I started 5 Star Home Care. Our commitment is to treat our clients with the same respect and concern we would show our own family members." 5 Star Home Care provides professional, comprehensive home care to people who need help performing day-to-day activities. Staff assists individuals living with a disability, recovering from an injury or illness, or facing daily challenges that come with aging. They can provide care in a variety of settings, including in the home or at assisted living facilities, hospitals or nursing homes.